Private, semi-private, and small group lessons are an excellent way to learn tennis from one of our talented tennis professionals. Private coaching gives you 100% of your coach’s attention for the full duration of your lesson, so you can focus on whatever elements of your game need assistance. Private lessons can be scheduled at a time convenient to you (subject to court and instructor availability). Call us at 702-229-2100 to schedule with one of our professionals below. Originally, Coach Jeff came to Las Vegas to play tennis for the UNLV Tennis Team. After graduation, Jeff became the Assistant Men’s and Women’s tennis coach for two years. It was here Coach Jeff decided he wanted to make teaching tennis to youth and adults his career. 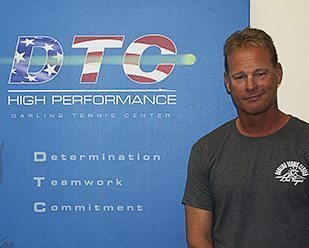 Jeff has been a USPTA Level 1 Certified Tennis Professional & Hi Performance coach for more than 20 years. Jeff was Director of Tennis at Red Rock Country Club from 1999-2008. 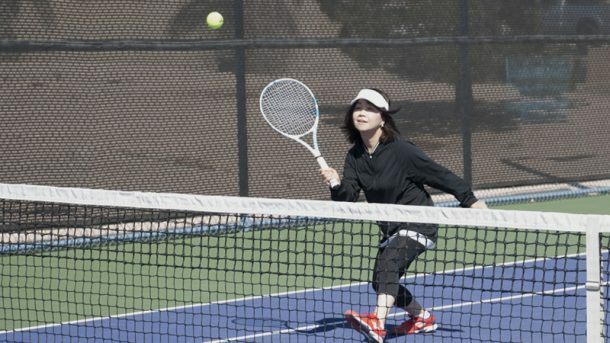 Afterwards he became the Director of Tennis at Anthem Country Club working to develop their adult and junior programs. Currently, Coach Jeff is Director of Tennis at the Darling Tennis Center. In 2011 Coach Jeff also became the Head Coach of the Faith Lutheran Girls and Boy’s Middle School and High School Tennis Team. Coach John is a Texas native who reached the final of his High School State Championship competing against eventual pro player Richie Renneberg. John went on to play tennis for UNLV. After graduation Coach John became the Director of Tennis at the Flamingo Hilton for 17 years before joining the management team at Darling. John wants to help grow Tennis in the Las Vegas community and enjoys sharing a high level of instruction with students that wasn’t available to him when growing up. Coach Nic is the Director of the Adult Beginner Program at Darling Tennis Center. He was born and raised in Sweden and later moved to the US and played his collegiate tennis at Vanderbilt University. Nic settled in South Florida in 1992 where he was a tennis professional and ran his own club for 20 years. 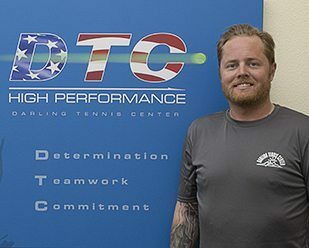 Darling Tennis Center welcomed Nic to its team in 2017. 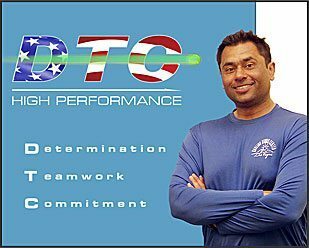 He’s USPTA certified and instructs all levels of players from beginners to advanced and all ages from juniors to adults. 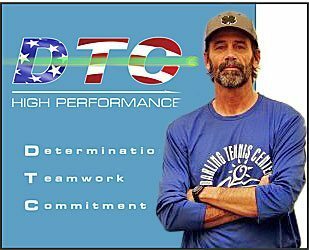 Coach Marko has over 16 years of experience teaching competitive tennis. He began teaching at a Chicago country club specializing in 10 & Under Tennis and Junior Development. Since coming to DTC five years ago, Marko has developed a unique program for beginner adults. He starts new players with a month of basic development and then guides the new player to a graduation class that focuses on doubles strategy and eventually prepares players for USTA leagues. As a 2.5 league coach, his teams went undefeated, twice. He also teaches 3.0-4.0 level men and women. Marko was born in Zadar, Croatia. When not playing tennis he enjoys time with his Wife, Son & Great Dane named “Bono”. Coach Peter was born and raised in New Jersey. He started playing tennis at age 9. A promising USTA junior career resulted in a scholarship to play tennis at Saint Peter’s University in Jersey City, NJ. After moving to Las Vegas Coach Peter began teaching at the Darling Center. “To me, the best part about teaching tennis is seeing the difference I can make in a student’s game and life”. “My Philosophy is not just to teach kids to play tennis at a high level and reach their goals but to empower them with the tools they’ll need to fully succeed in life”. Coach Saad is a former Div 1 Collegiate coach and former Director of the USTA Intermountain Regional Training Center. Saad has developed several juniors who’ve won Sectional Championships and received Division 1 college scholarships including Gabby Smith (USC), Brian Foley (Boise State), Rohan Gupte (Tufts University) and many others. In the last 2 years coach Saad has developed 6 sectional #1 ranked players. Brian Wilson was ranked #1 in Southern California in the juniors before he attended the University of Illinois on a scholarship. In 2003 Brian was the NCAA doubles champion and the team went undefeated and won the NCAA team championship. In 2004 he was ranked #1 in the NCAA in singles. He played on the ATP tour for five years and won over 15 titles in singles and doubles. Brian played in the main draw of the US Open and Australian Open. While playing World Team Tennis, he had wins over Pete Sampras and Patrick Rafter. 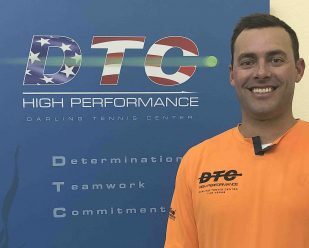 Since Brian started coaching in 2008, he has been involved in two of the most successful and acclaimed tennis centers in the country, Darling Tennis Center HP Coach 2008-2012 and was Director of Junior Tennis at Northwest High Performance Tennis from 2012-2018. Was USTA Faculty Coach for Lead NorCal and Northern Section Team USA Camps and was also on the PNW Coaches Commission and Junior Competition Committee. Brian rejoined the Darling Tennis Center in 2018 and we are very fortunate to have him back. Coach Mike played High School Tennis in Las Vegas just around the corner at the Meadows School (1997). He later attended UNR and graduated in 2002. After returning to his Las Vegas roots Coach Mike starting playing recreationally. Wanting to be a more active part of the game Mike took a job at the Darling Center in 2012 teaching beginner level juniors and Seniors. Coach Mike continues in this role and is also the head racaquet stringer at Darling. 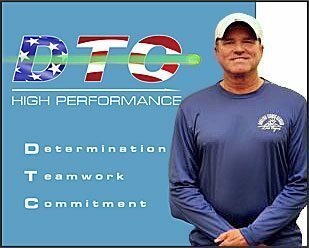 In 2017 Coach Mike was recognized by the USTA as Junior Team Tennis Coach of the Year. Tyler is a Las Vegas native who grew up on the tennis courts. He started teaching at a very young age working with children in a developmental camp setting. Tyler played competitive tennis until early high school then pursued a career in baseball. He played collegiate / semi-professional baseball prior to returning to the tennis courts. Jeff was born and raised in Las Vegas and started playing tennis at 8 years old. He later went to Bishop Gorman High School and played on their tennis team that over a three year span went 33-0 and won three consecutive state titles. Jeff stayed true to his Las Vegas roots and attended UNLV where he played his collegiate tennis. Currently he is the coach of The Adelson Middle School and High School Tennis Teams. 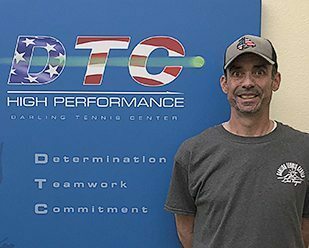 Jeff is USPTR certified and joined Darling Tennis Center in 2016 and works with players of all ages from juniors to adults. 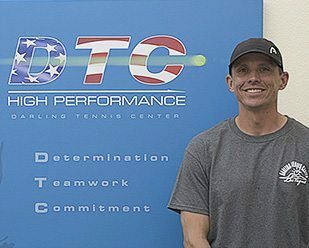 Zach is a USTA Pro1 certified tennis professional with over 20 years experience in both the United States and Canada. Zach was born and raised in Canada and has relocated to Las Vegas after spending several years in the (Knoxville,TN) playing college tennis and teaching at some of the finest facilities in Tennessee, Georgia and Florida. Zach played Division I tennis at Austin Peay State University and after a couple years of playing the satellite circuit returned to Knoxville, Tennessee where he graduated from the University Of Tennessee. His past responsibilities as a director of tennis and head pro include coaching/creating/directing programs for all ages and ability levels (1.0-6.0, PeeWees, Juniors and Adult), Travel coach for nationally ranked juniors, Nike and United States Air Force Academy Summer Tennis Camps, USTA Tournament administration, Adult/Junior USTA team scheduling having coached over 40 Southern Section Championship teams including local, state, sectional and national champions. Zach has an enthusiastic court presence, conducting positive and high energy camps, clinics and lessons. All of us at Darling are excited to have Zach join our team.